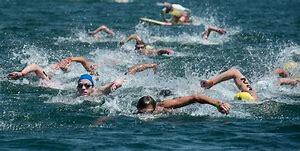 Results can only be processed once all swimmers have left the water after a race and the the race referee has reviewed timings and placings. Results will be published as soon as possible on the deck for coaches and on the bank for spectators. Please do not ask the results team directly for results. Full results will be available online on our open water results page after the event. Results can’t be published immediately due to limited internet access at the venue. Car share with someone from your club where possible to reduce the number of vehicles needing to park. Park where instructed to by our volunteer traffic management team. Be prepared for a short walk, the closest parking will be reserved for blue badge holders. Litter: Whiltlingham Country Park is hired by the Region and is expected to be left as we found it. Please ensure you take your litter home to prevent our hard-working event volunteers having to litter-pick at the end of a long event, thank you. BBQs: Due to it being a fire hazard in the Country Park, there must be no BBQs lit by visitors to the park.